KTR Promotions in Venice Beach & Los Angeles California: "7 Extraordinary Artists" Opens Thursday, April 9, at FABstudio in Santa Monica! 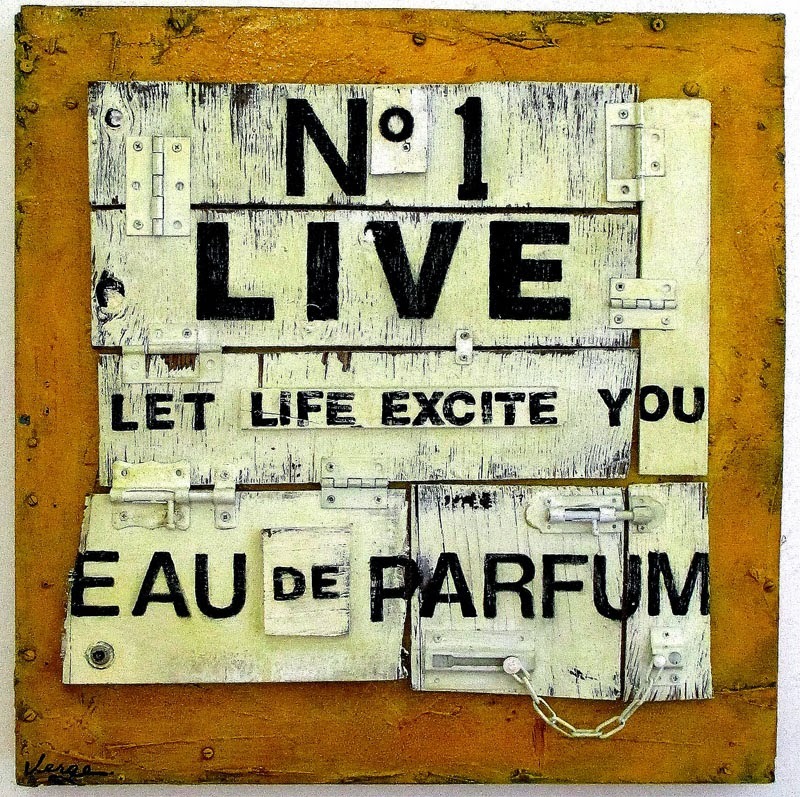 "7 Extraordinary Artists" Opens Thursday, April 9, at FABstudio in Santa Monica! Brooke Harker is set to be the featured artist for this eclectic exhibition. The group show additionally features talented contemporary artists: Anyes Galleani, Doug Henders, Barbara Kosoff, Charlie Patton, Walter Redondo and Jennifer Verge. 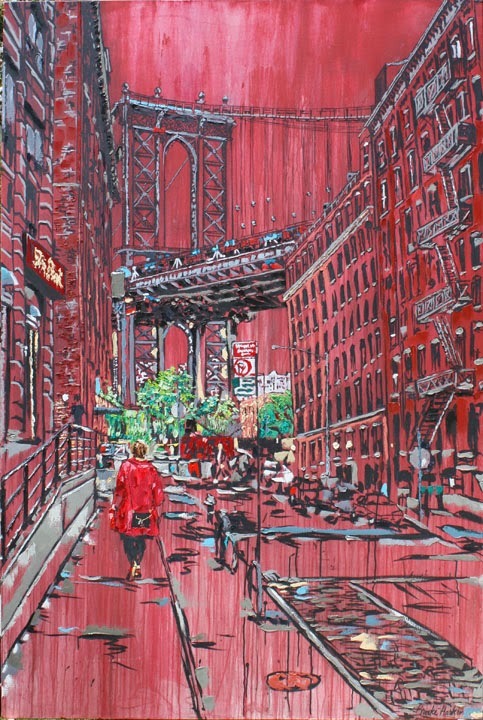 Harker will be showing her “Urban Citiscapes” at FABstudio. The artist is just about to embark on a four-month trip to Italy. “Alfio Borghese has selected my artwork for a solo exhibition in Italy from August 24-Sept 6 2015 at the Villa Comunale di Frosinone in the vicinity of Rome as part of the Festival of Contemporary Visual Arts. “This solo exhibition will take me to Italy to paint for several months in preparation for the event,” explained Harker. “It is part of several exchanges between American and Italian artists to take place in galleries in Los Angeles in 2015.” The name of the exhibition is “An Eclectic Perspective/ Una Prospettiva Eclettica” and will be curated by Borghese. Harker’s paintings (that she has yet to create) will feature urban views from Los Angeles and other US cities. The mixed media art of Jennifer Verge will also be included in this eclectic show. Verge said she was re-inspired by Jean Michel Basquiat and Frank Gehry…particularly, the use of materials in his architecture. Like most artists she takes in exhibitions at galleries and museums alike. She also said she was a fan of the nudes of Nelina Trubach-Moshnikova. Italian Born artist Anyes Galleani, currently lives in Los Angeles. She is actively engaged in LA’s art world. The artist started in the fashion industry when she first arrived in Los Angeles in the 80s. She soon established herself as a photographer/art director for fashion and celebrity shoots. In the 90's, Anyes started working with photo-montage, opening the door to an array of new opportunities, from gallery shows to video projects. She went on to working in the commercial video area. 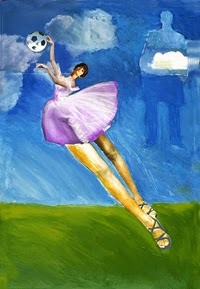 Mixed Media merged its way into Galleni’s work and now it is the mainstay of her art. Barbara Kosoff began her career as a graphic designer and art director working in both the US and abroad. Her interest in getting back to creating art (sans the computer) led her to create mixed-media and assemblage works on paper. 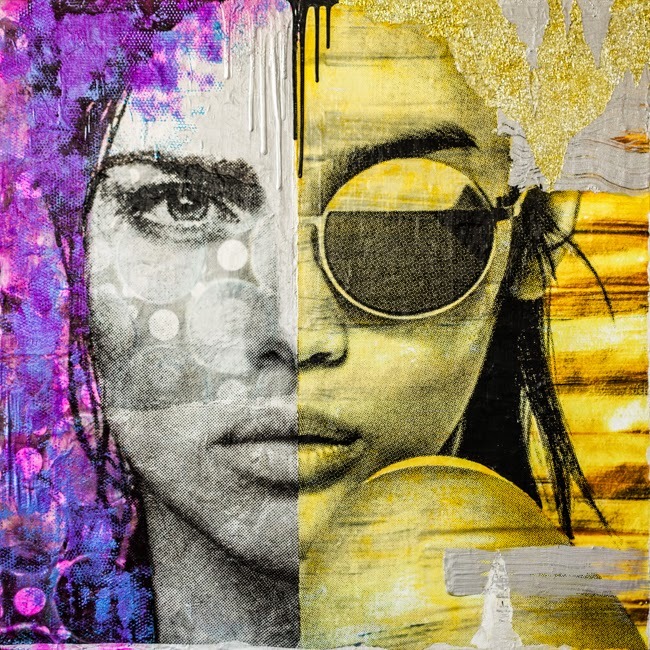 Ever the traditionalist, she works by cutting and pasting photographic images found in magazines and pop culture publications, paper bags, and other random sources, then combines them with drawing and painting with oil bars. Image: Barbara Kosoff, The Amazing Catch, mixed-media on paper, 17 x 24"
Artist Charlie Patton will also be part of the show. He began his art studies at Laguna Institute of the Arts and then had the chance to study at the Florence Academy of Art. As an artist, he has experimented in Mixed Media, Abstractionism, Impressionism and Contemporary Art. Charlie now resides in both Santa Monica and Santa Barbara, CA. Founder of barcito, Andrea Borgen will be on hand at opening serving samples from her new restaurant. Barcito is an Argentine-inspired shareable plates bar, serving a seasonal menu of locally sourced food and drink, consistently providing guests with exceptional value. Borgen’s goal with barcito is to transport her customers to Buenos Aires.